Recycling your old electronics is now easy, hassle-free and convenient with All Green Electronics Recycling. We’re now in Buena Park to provide world-class ITAD Solutions, IT Asset Remarketing, and Hard Drive Shredding. It's now easy and convenient to recycle, reuse, and remarket old electronics. All Green Electronics Recycling is the answer. If you're having issues on how to recycle your EOL IT equipment, our IT Asset Disposition is one of the best strategies to have. Destroying your old computers, like desktops and laptops, is crucial to delete sensitive files. Choose us to perfectly and irretrievably do it. To protect your business from the negative impacts of data breaches, you need All Green to perfectly destroy your EOL equipment. Conserving natural resources is one of the major factors why we need to practice a responsible electronics recycling system today. This is the truth that has driven All Green to design and tailor a program from which the people in this area can enjoy. Our Electronics Recycling Buena Park Services are tested. We can easily help you every time you need any of our pickup trucks and our recycling team to do the right job for you. Buena Park is located in Orange County and is home to the popular amusement park Knott’s Berry Farm. 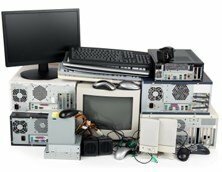 To start help this city become clean and e-waste free, click on the link given below to schedule an e-waste pickup with All Green. Recycling all kinds of electronic devices is so important. The emphasis behind this drive is great. It’s directed towards the different techniques and strategies on how to make use of your old desktops or laptops, and even your mobile phones again. There’s an speedy process of tech products production these days. Every month new models of computers and cellular phones are introduced in the market. Their pricing has been revolutionized to an all-time low. In effect, the accumulation of electronic scraps is highly evident. The only way to avoid their negative impacts is to schedule a pickup or to find a near All Green drop-off location. Rest assured no single IT product will be dumped in the dumping site here and abroad. Our ITAD Solutions can be your ultimate way the moment you’re going to replace your technology with new sets of computers and other office equipment. We have well-trained people to work for you. We have working programs that can fit your demands. If you want to reduce the cost of technology replacement, our IT Asset Remarketing Program is suitable. It can allow you to earn a maximum of 70% from the total net profit after a successful resale. After we collect your items, we will bring them to our world-class facilities in Southern California where the necessary recycling activities, like refurbishment and off-site hard drive shredding, are going to be conducted. Contact us now for more relevant details and information.